What is hyperopia? This eye condition, also known as farsightedness, is a refractive error that affects at least 14.2 million of the adult population nationwide. It’s important to understand how this vision problem can affect your daily livfe. Clear View Vision Care, a vision therapy specialist in the area, explains in detail how hyperopia can affect a patient’s eyesight. People with a family history of hyperopia have a higher risk of developing farsightedness. Structural infirmities, such as short eyeballs or firm corneas, may affect the proper normal bending process of light. With hyperopia, light is not directed on the retina as it should be but displaced toward its back part. Furthermore, this eye condition may be congenital in nature and can be detected during childhood. Farsightedness, however, can also be acquired in adult years. The common symptoms of hyperopia is a patient’s ability to see distant objects clearly while having difficulty carrying out close-range activities. To create a clearer picture of a blurry nearby object, the ocular muscles have to work twice as hard. This often results in frequent headaches and severe eye strain. If you experience these symptoms, get in touch with your eye doctor ASAP. During your eye exam, your eye specialist may perform a visual acuity test to assess the extent of the vision correction needed. They may also perform refraction and retinoscopy tests to determine the proper lens prescription for your eyeglasses or contact lenses. We have a variety of options available to match your personality and suit your eye care needs. 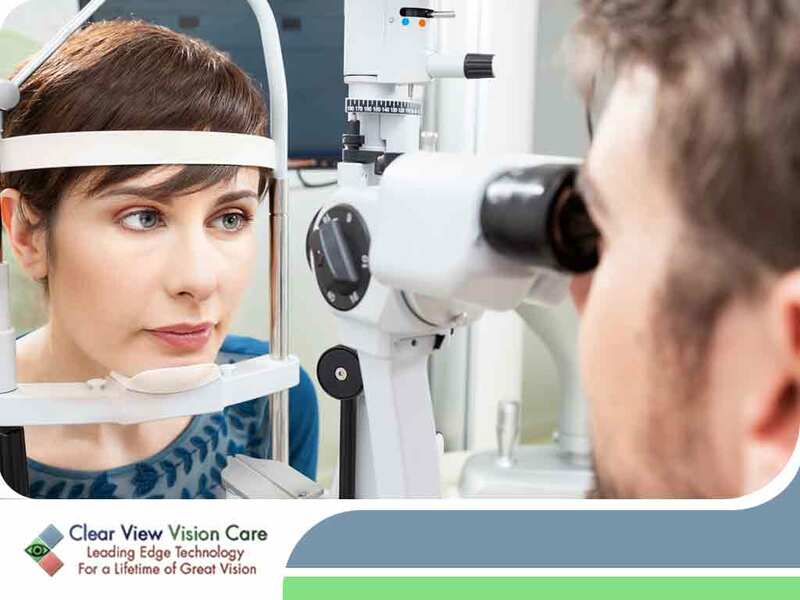 Turn to Clear View Vision Care for your eye health care. We also offer vision therapy and other treatments to help improve eyesight. Call us today at (520) 394-6111 or fill out our online form to schedule an appointment. We serve residents of Tucson, AZ.